A Pirate's Heart on sale! Book 2 of the St. John Series, A Pirate's Heart, will be on sale February 20-23 for only 99 Cents! And as always, its free through Kindle Unlimited. Fire and Ice Trilogy book 3 at the editors! The True King is officially at my editors. Release date is tentatively set for mid-December. Book 2 in the Fire and Ice Trilogy is now available. It entails the emotions pulling the princess of Emberton to the most fierce knight in her father's army. Aleriah is to wed an older man and wants to know the feel of a man before her vows are spoken. Peter's past is jaded and full of danger, and he fights to keep Aleriah from his life. But their desire for each other keeps pulling them together. Yet they must be careful for the palace is full of spies. 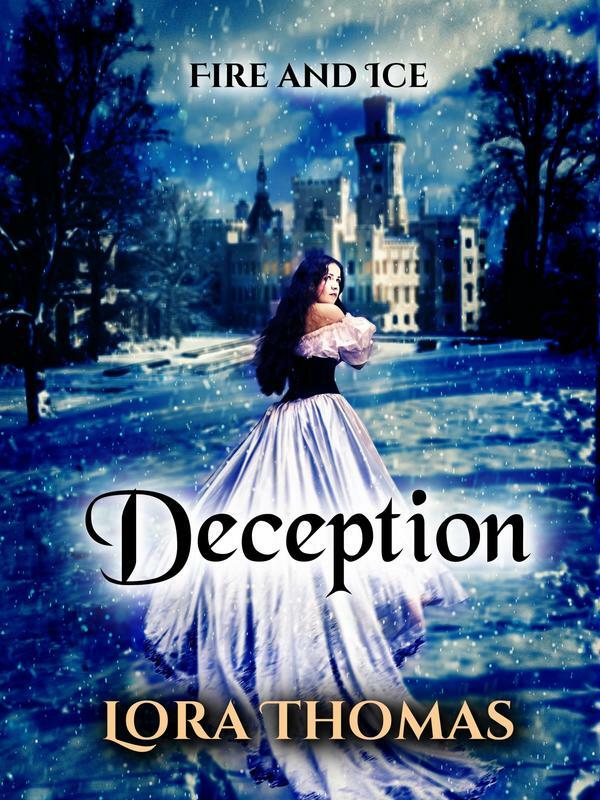 The first book in my newest trilogy, Deception: Fire and Ice, is now available for preorder through Amazon. Release date is set for August 15!! Forbidden Love, the 8th book in the St. John Series is now available for purchase. As of right now, only ebooks are available, paperbacks are in the works. The latest book in the St. John Series does not involve the St. John family, but a close family friend, Zachary Hollingsworth. I am happy to say it is at the editors. Forbidden Love is the title. Tentative release time is the end of February!! Exciting news! The Wild Belle has gone wide on distribution. You can now find the third book in the St. John Series at all online retailers. The others in the series will follow soon. I'm excited to announce that I have lowered the price of all my paperback books to $16.99 or less. The Amazon site reflects this price change; however, the prices have not been changed on Barnes and Noble (yet). Also, the eBook of Liberty's Deception is now permanently only 99 cents and is free on Kindle Unlimited. I'm excited to announce that the 7th book in the St. John Series is now available to purchase. Meet Maxwell Hart, the oldest (albeit illegitimate) St. John. Discover his tormented past and see if the fiery Spanish beauty, Kristina, can tame him. A Pirate's Heart will be on sale for only 99 cents from July 23-30. And as always, its free thru Kindle Unlimited.